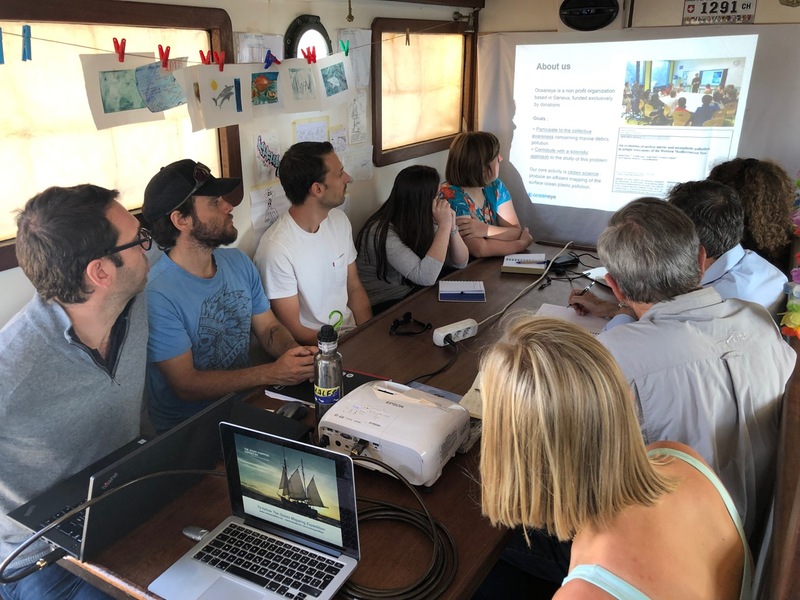 It is also this, The Ocean Mapping Expedition: a spotlight on local actors of the civil society engaged as the Pacific Foundation is in actions for the common good. 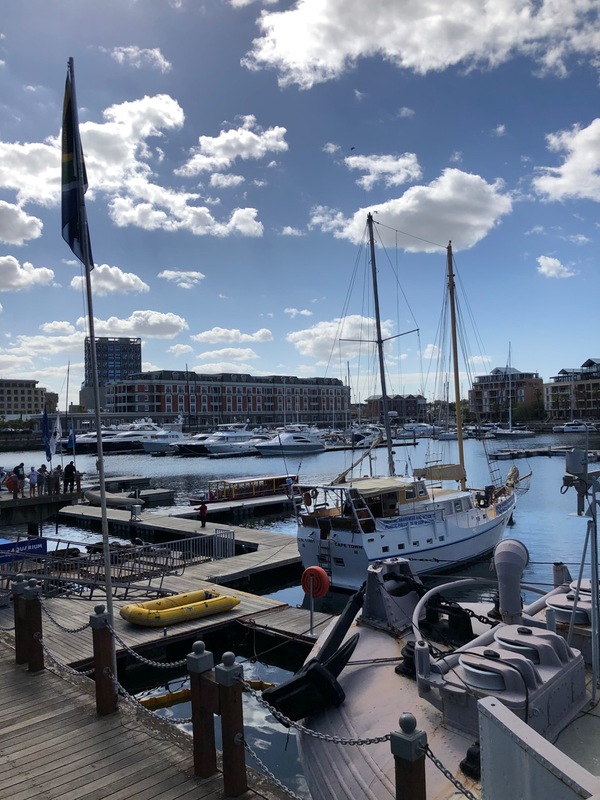 Taking advantage of the stopover in Cape Town and of the presence for a few days of Pascal Hagmann, Director of Oceaneye and Micromegas program manager on microplastic pollution, the expedition organized several informal meetings with local organizations to exchange knowledge and share experience on the problem of plastic pollution. 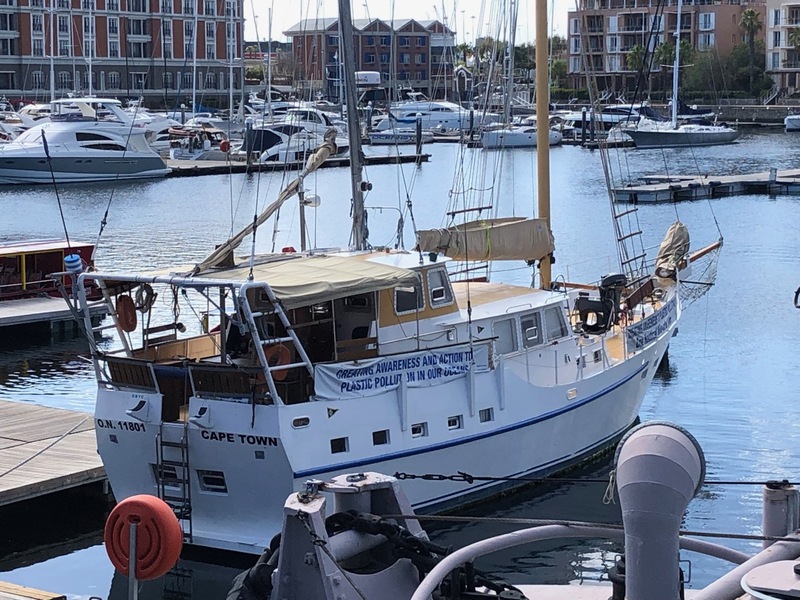 Among these local NGOs, BOAZ, whose sailboat moored next to the Two Oceans Aquarium of Cape Town had quickly been spotted by the crew of Fleur de Passion. 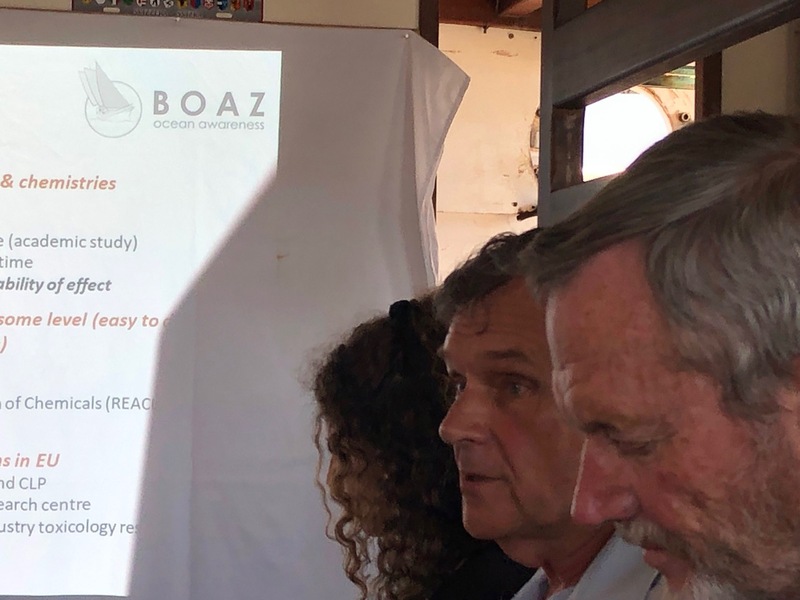 BOAZ is an association dedicated to environmental education and public awareness of the problem of marine pollution by plastics. Led by a dynamic team, it conducts surface water sampling campaigns using a "manta trawl" very similar to that of the Micromegas program. The result of these samplings gives rise to photographs for purposes of awareness. 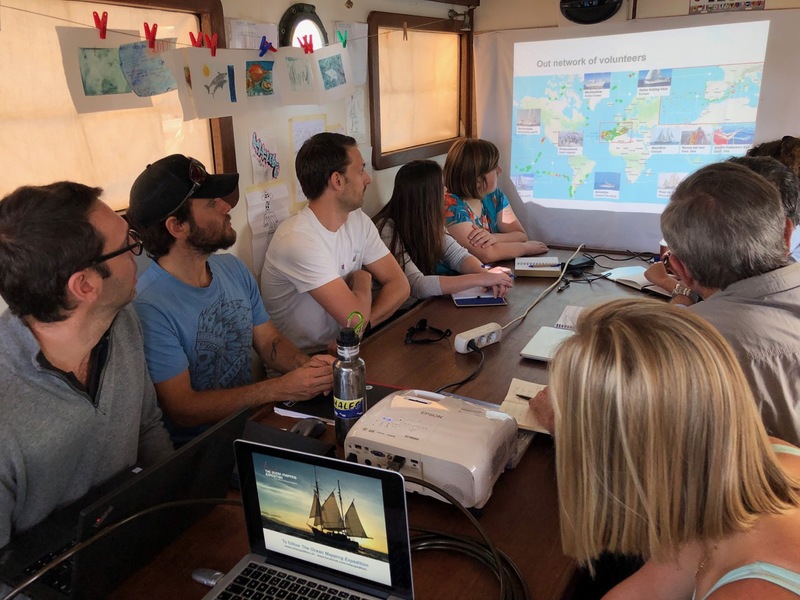 The short-term objective is to organize more distant expeditions and sampling campaigns, from Cape Town to Madagascar and Mauritius, and potentially to acquire means of analysis in a more scientific perspective. 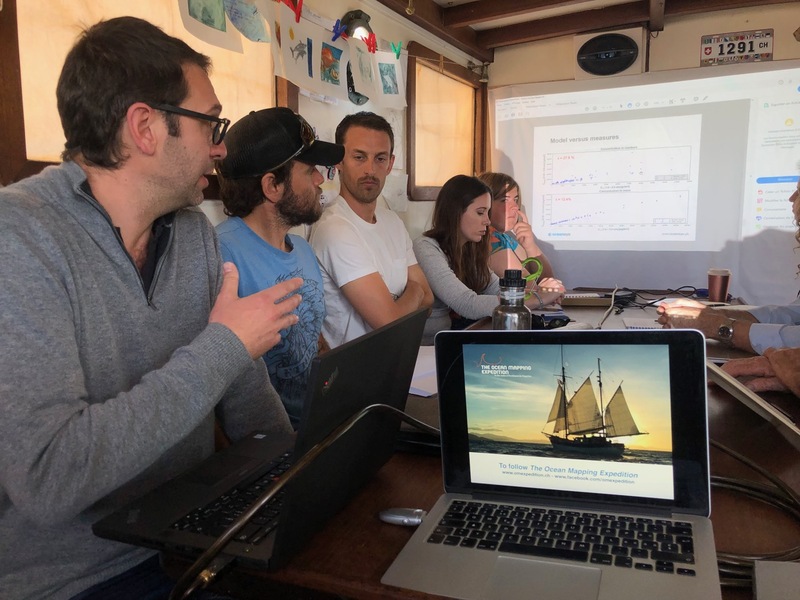 In other words, the history and experience of Oceaneye, which has just acquired its own analytical laboratory in Geneva after having for a long time conducted its own expeditions, and the partnership arrangements with the Pacific Foundation in the framework of the expedition around the world, were of the greatest interest for Keith, Chris, Andy or Melissa, during the exchange conducted onboard Fleur de Passion, in January 14, 2019. How do we organize samples on board? What methods do we use to sample micro-plastics? How was Oceaneye founded? And how to appeal to sponsors for this type of research? These were just some of the many questions that spurred and fueled an exchange that was as passionate as it was friendly and complicit. 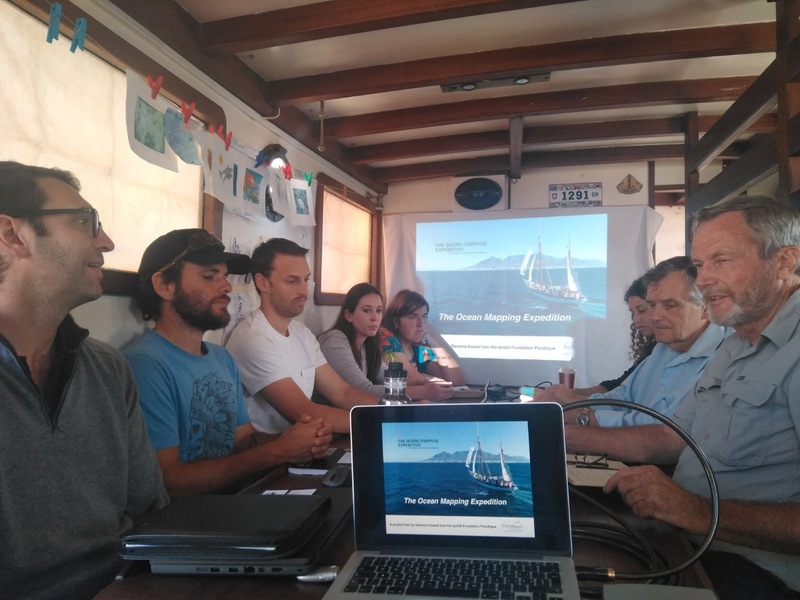 That day, the meeting also included people from Cape RADD, another local initiative dedicated to training in biology and marine conservation. 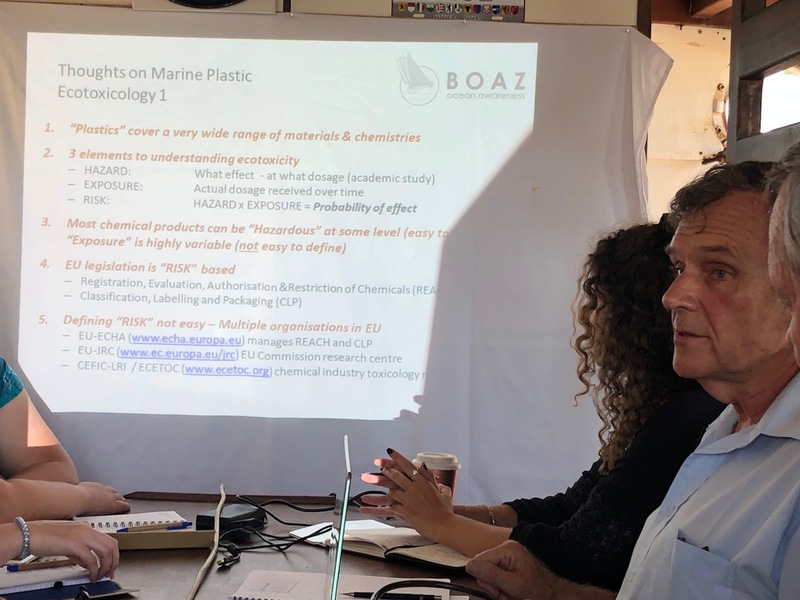 And from this meeting came new ideas, possible collaborations and especially a lot of mutual motivation to continue the work of research, knowledge and education on the contamination of micro-plastics in the oceans. Same climate of great complicity and mutual emulation a few days later when the team of Sea The Bigger Picture came on board. 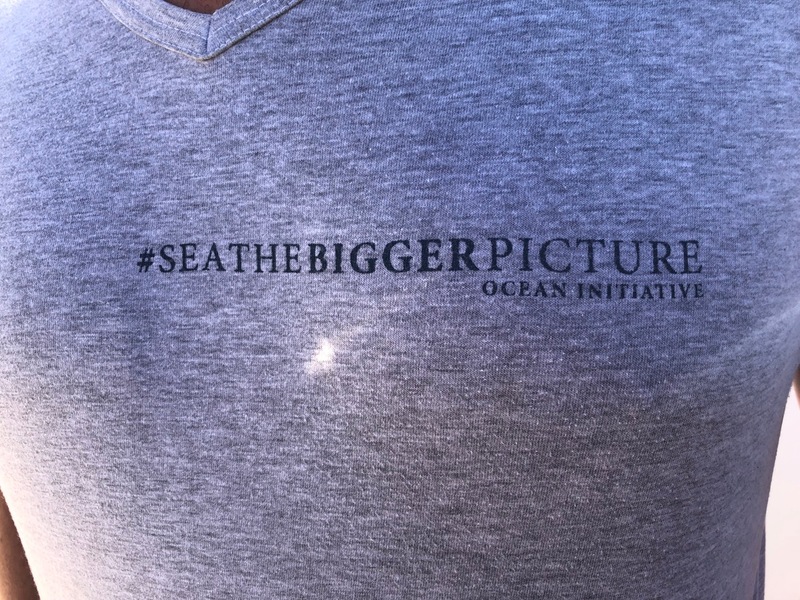 The ambition of this group from the civil society is, through the actions of awareness and education, to help rid the coast of South Africa plastic waste which they are too often and dramatically littered. Here again, the exchange essentially consisted of a presentation of the respective actions, an exchange of experience, and above all a tremendous and deeply stimulating moment of mutual emulation. And what about our meeting with Hayley McLellan of Two Oceans Aquarium, campaigner responsible for the awareness program on plastic pollution! A striking figure, inspiring as rarely. Each time these meetings were over, the emotion was palpable on both sides, as if sharing the same sensitivity and the same sense of commitment, across the continents, was the most rewarding source of motivations. Good luck to all!